I’m a big fan of my local health food store/grocer. Nature’s Fare Market has a great selection of products and is staffed by well-informed staff, especially in their vitamins and supplements department. In addition, they are involved in the community and regularly offer educational seminars. Another of their great educational tools is their newsletter, The Good Life. In an issue this past summer they included a great explanation of food labels that was so clear and thorough I am reprinting here, with permission. Canada has had regulations surrounding gluten free labelling since 1995. Health Canada and the Canadian Food Inspection Agency are actually more advanced than our American neighbours, who are still working on a set of clear gluten free standards. As of August 2012, Health Canada mandates that manufacturers cannot label, package, sell or advertise a food product as gluten free if it contains any gluten protein or modified gluten protein. Division 24 of the Food and Drug Regulations contains a provision for “Foods for Special Dietary Use.” This includes any foods that have been created specifically to meet the needs of individuals who have a physical or psychological condition that can be controlled by their food intake. Gluten free foods fall under the “Foods for Special Dietary Use” category. As a result of this categorization, manufacturers are prohibited to make any sort of gluten free claims if the product contains any more than the allowable amount of gluten. This allowable amount of gluten must be less than 20 parts per million (ppm). If the product contains any more than that amount it is not permitted to display the gluten free label. Manufacturers must disclose that the product contains gluten either in the ingredients list or through the use of a “Contains Gluten” statement. According to the Canadian Food Inspection Agency, a gluten free claim is any representation that suggests, states or implies that the food does not contain gluten. The CFIA prohibits any product to bear the gluten free label if it contains any gluten or gluten protein, including gluten sources such as barley, oats, rye, triticale, spelt, wheat, and kamut. There are no rules that stop manufacturers from using quantitative statements about the amount of gluten in food products. For example, a manufacturer could claim on their product that it contained less than 5 ppm of gluten. The statements must be truthful and accurate and are not permitted to be misleading in any way. 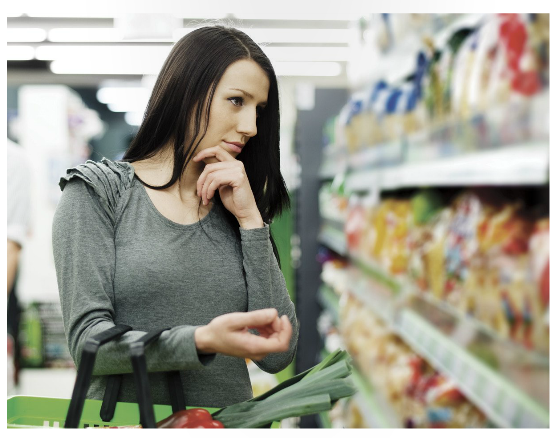 In Canada, manufacturers are not permitted to make claims of “Low Gluten” or “Reduced Gluten,” as this may persuade an individual to buy the product, when in reality it is difficult to quantify those terms. Many people like the idea of buying a product that was made in Canada because it supports our national economy and most likely will have been produced using ethical business techniques. However, there are concerns that many products that claim they are made in Canada may actually only be assembled or partially manufactured within our borders. According to the Government of Canada’s Business Network, it is not permitted to label a produce with “Made in Canada” if it is only assembled or distilled in Canada. In order to bear the “Made in Canada” tag line an item must be wholly obtained or produced in Canada. For items that may have been partially created or finished in Canada, manufacturers are able to use the terms “designed” or “produced” in Canada, however the statements must remain truthful and not misleading at all times. The Canadian Competition Bureau mandates that for products to claim they were “Made in Canada” the last substantial transformation of that product must have taken place on Canadian soil. An additional requirement stipulates that at least 51% of the total direct costs undertaken to create the item must have been spent in Canada. In order to be called a “Product of Canada” similar specifications apply. The final transformation of the goods must have occurred in Canada and at least 98% of the total direct costs spent to manufacture or produce the product must have been incurred in Canada. While Canada is strict on its policies for gluten free and “Made in Canada” labelling, our government is behind the curve when it comes to labelling products that contain genetically modified ingredients. Currently, the Canadian Food Inspection Agency only requires labelling of genetically engineered organisms if there is a safety concern associated with the ingredient, like a potential allergen. The CFIA does allow voluntary labelling of GMO products, but it’s no surprise that to date not a single company has come forward to disclose their use of GM ingredients. While independent polls show that 80% of Canadians are in favour of GMO labelling, efforts to create such regulations have been defeated in government twice in the last 15 years. Unfortunately, the biotech industry is very powerful, both politically and economically, and is able to use its influence to steamroll the progress of GMO labelling advocate groups. To make up for where government is failing, a private, non-profit organization has taken GMO labelling into its own hands. The Non-GMO Project designates products as GMO free using a third party verification certification system. Manufacturers voluntarily sign on to become a part of the Non-GMO Project. Their products are tested against core requirements that include traceability, segregation, and analysis of high risk ingredients at critical control points. If the products pass inspection, they are permitted to use the Non-GMO Project seal on all packaging, which signals to customers that an item they are purchasing is free from any genetically engineered ingredients. For more information on the Non-GMO Project: nongmoproject.org.